Lurline's Place: ... And Life Goes On! ... And Life Goes On! It has all been so long since things have felt normal, whatever normal is. For a fleeting moment yesterday, I decided 'no more quilting' - now here I am back again with renewed vigour, let's hope it stays. I'm so happy there is still so much inspiration and motivation out there, thank you dear Friends! In all of this I have lost a pic, will try to get it back before I sign off. 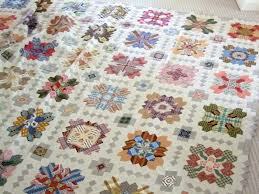 Recognize the above - Lucy Boston's Quilt of the Crosses, just divine. I have ordered the pattern from NSW so it should be here before the end of the week. My plan .... to try to use modern fabrics to achieve a beautiful gentle look. I still have lots of repros, but must admit I prefer the fresh look of modern fabrics these days. 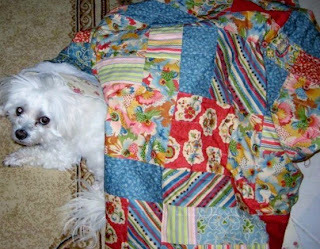 I would love to hear from those who are making the above quilt - sigh, just lovely! With heavy heart I posted this pic of my little girl, Georgina, a couple of days ago - she has been with us thirteen years and the time came to go to Doggie Heaven - I miss her so much and feel blessed I had such a faithful, adoring little friend for all those years. I now over-indulge Alice, that's the way I am with my pets - nothing changes there! I hope the bubbles that have been bursting will stop and look forward to keeping in touch regularly. So sorry about your loss... I lost my two babies last year - very hard. But what beautiful photos and memories you must have. So sorry to hear about Georgina. I started the Lucy Boston blocks thinking I might just make a cushion cover. But I have since thought to make a quilt instead. I need to give some thought to fabrics though. I had started with gold/red orange palette. But if I am to make a larger version I need to give it some thought. I think all the centres so far are fussy cut. So again I need to decide whether to continue with that. It's all a bit up in the air at the moment. Maybe we can chivvy each other on? Lurline so sorry to hear about Georgina, so hard to lose a pet they are so much a part of our families. 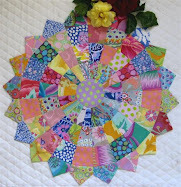 I just know your going to love making that quilt and with your color and fabric choice sense it will be amazing. Have fun with your new project and PLEASE post pictures we want to see progress! I'm so sorry to hear about Georgina, it's the hardest part of having pets. I'm glad to hear you've got such a gorgeous new project planned. With the newer fabrics, it'll be gorgeous and I'd love to hear of progress too. Will you paper piece it? I am not making that quilt...right now....but it is gorgeous! I can't wait to see how you do it! Sorry about your pup :( I know how attached you can be to your pet...I hate the thought of something happening to my pup. Pets are always hard to say good-bye to. We can only be thankful for that time we enjoyed together. I saw the Lucy Boston quilt again after many years, at the Tokyo Dome show. The first time I saw it, I made a sketch of the design and then drafted my own pattern. I have made two quilts with that pattern and I was surprised when I saw it again, how much larger her hexagons were than the ones I drafted. I'm sorry to hear about Georgina. You were blessed with many years of her companionship. I look forward to seeing your new quilt project. Sending hugs. So sorry to hear about Georgina, it's not easy to say goodbye but at least you have 13 years of wonderful memories. You'll have a wonderful time making the Lucy Boston quilt with all the wonderful fussy cutting, It'll look great in modern fabrics. I'm so sorry you lost Georgina. It is very hard to lose a beloved pet, and takes some time to get over. I'm working on a Lucy Boston POTC quilt using modern fabrics and batiks and am loving it. I used Inklingo to print the templates on my fabrics and was fussy cutting/printing so that I could get some special effects in the centres. I was reading your lovely quilting post and then my heart stopped. I can't imagine how yours must fill at this moment. Georgina was a blessing to you as you were to her. Time will warm the memories. So sorry to hear about about Georgina, I loved meeting them both and I know you will miss her dearly. Take care Lurline.. I'm sorry for your loss. So happy that you shared your lives, and I know you gave her a good one. 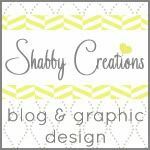 Hi, I have just discovered your lovely blog and am thrilled you are going to do a POTC. I also did a double take when I saw the photo you used LOL! 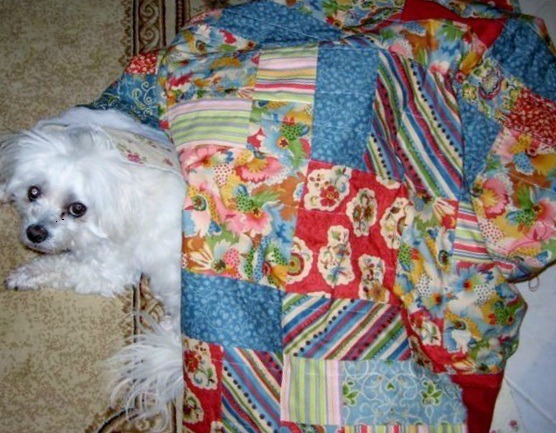 I recognised it as my quilt (just the top before quilting) - photo from my blog I'm guessing? Have fun with this one - I loved every minute of making it. I'm sure a modern take will be beautiful! I'm so sorry to hear about your dear Georgina...But now just go ahead and enjoy Alice....just perfect Lurline!